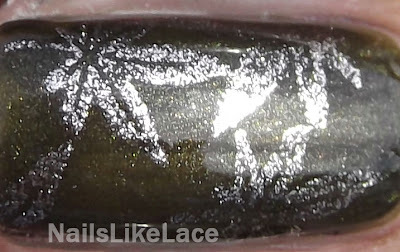 You may or may not have seen the new all-in-one stamping systems yet, but I have one to show you today! These are plastic discs with a rubber piece in them, and the images are carved into the rubber; eliminating the need for a scraper. This stamper (and others similar to it) retail for $8.65 USD at KKCenterHk.com. Be sure to check the video I created at the end of this post for a demonstration on how to use this stamper. 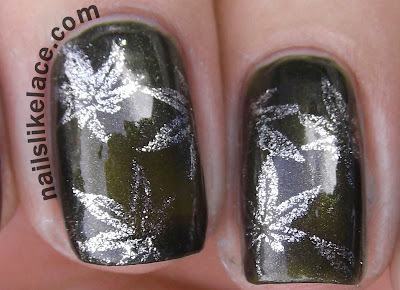 It is a little different than the stamping we are used to, but it isn't very hard to get the hang of. Depending on how you remove the excess polish, sometimes the images will come out a little blurred, but they are mostly just as full and crisp as traditional metal plates! I think these are just the coolest! It was a lot less of a mess since I didn't have to deal with a scraper and was really easy to get the hang of! I love that you can line the image up easier when you stamp it on the nail since the pictures are on the top of the plastic handle part, too! These definitely aren't as condensed as metal plates; they require quite a bit more storage room, but I think I would almost prefer to stamp like this from now on! If you'd like to try out one of these nifty stampers for yourself, or anything else from KKCenterHk, use my coupon code nailslikelaceevent15off at checkout and you'll get 15% off your order! Product provided for review from kkcenterhk.com. No compensation was received. I Vant to Bite Your Neck! Twinsie Tuesday - What’s Your Sign?